Hey, Weirdos! Is A Reboot Of The Craft In the Works? Today's unconfirmed/tantalizing/"but whyyy?" Hollywood rumor for all the once and future teen witches out there: There may be a reboot of 1996's The Craft in the works. Dread Central is cautiously sharing the news from a tipster who "takes surveys about various topics, the most recent of which was films that are currently in theaters." Then it suddenly switched its focus to The Craft, asking about his familiarity with it, how it compares to similar films… and… how he'd feel about a reboot. Yes, this isn't much to go on, but rumors like it keep popping up so we'll keep you posted! 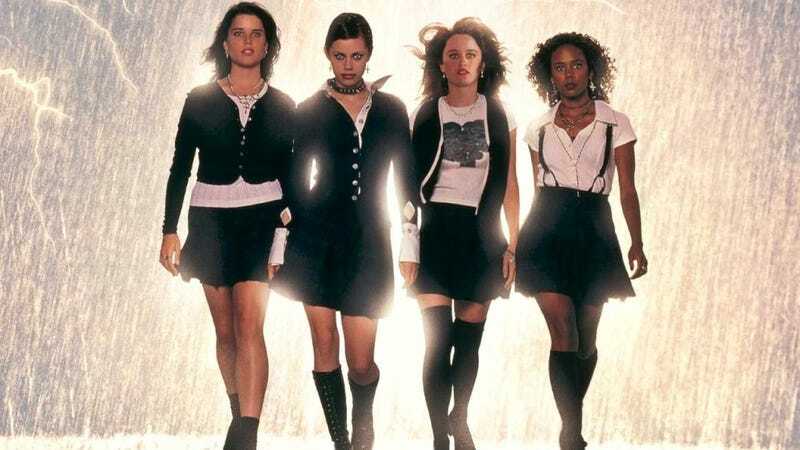 Agree it's not much to go on, but since The Craft's central themes (being a high school misfit is tough, sometimes your friends aren't really your friends, witchcraft is freakin' awesome) are still quite potent, a remake makes a certain amount of sense. Psst, movie studio types: how about a nice supporting role for the almighty Fairuza Balk?